March started out a struggle for me to get out on my Artist’s Dates (AD) and Artist’s Walks (AW). I had a very hard time sticking with the rules for the first couple of weeks and one week even took my husband with me. Though it was nice having time with him, I really wasn’t at ease to go at my normal snail’s pace. AWs have become a time for exploration and noticing details…. ADs about connecting with the people past and present. My husband had been telling me that I would want to see the Oregon City Falls, so when our daughters were in a Saturday jazz competition at the college there, I asked him if he wanted to go as well. We stopped to walk along the sidewalk above the river and took pictures of the water below. I took the opportunity to grill him with questions about the mills on the riverbank and the industry there. He said that as far as he knew they are a big producer of toilet paper. Next we went to their museum. I tried not to get caught up in the worry about him getting bored, but that was a challenge for me. Museums are great because you see what the people of the area valued enough to preserve. They had a wonderful section of Native American artifacts and information. Another favorite was reading about notable, Ralph Eddy, photographer to their area, and I saw first hand how he was able to preserve their history through his beautiful work. His cameras were saved spanning his 50 plus year career right there in the museum. 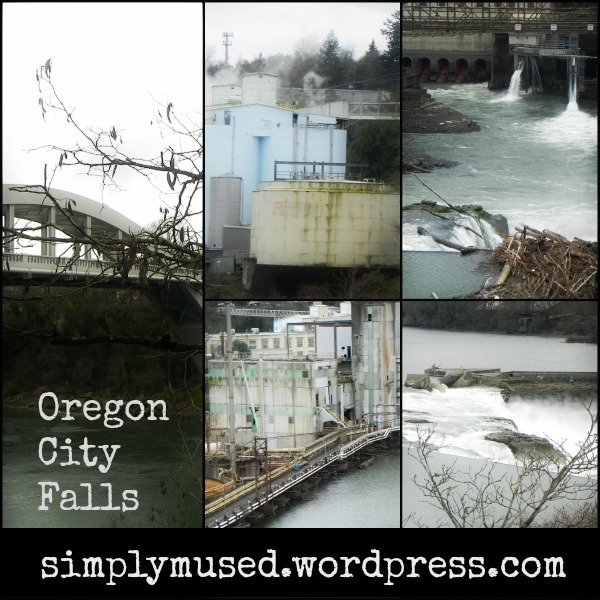 I did get some pictures of my own and made the decision that there was a lot more to Oregon City that I need to explore in the future. 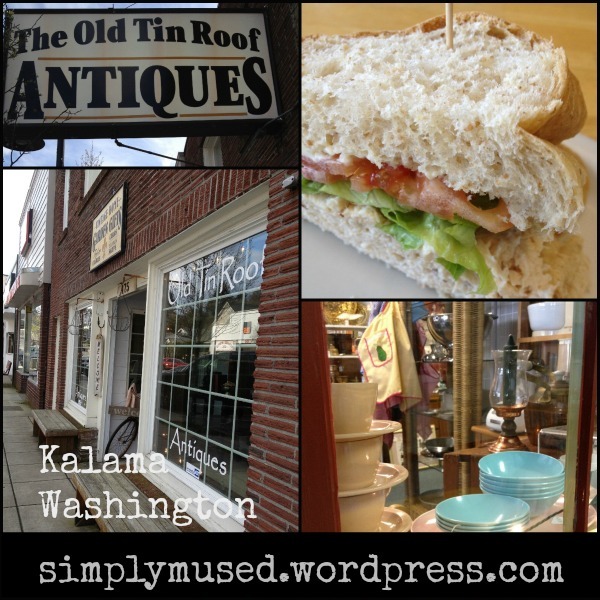 For my next notable AD, I went to a little city called Kalama in southwest Washington. I had been antique hunting several times before a couple years back and brought home many finds. This time I also learned that the high school in their town was the high school used in the Twighlight films. Even with this attention, the town remains relatively unchanged since the last time I was there seven plus years ago. I did eat in the little deli (the only restaurant in the antique mall), and had the most delicious sandwich made on home made bread. I bought fresh cookies for my family as well. 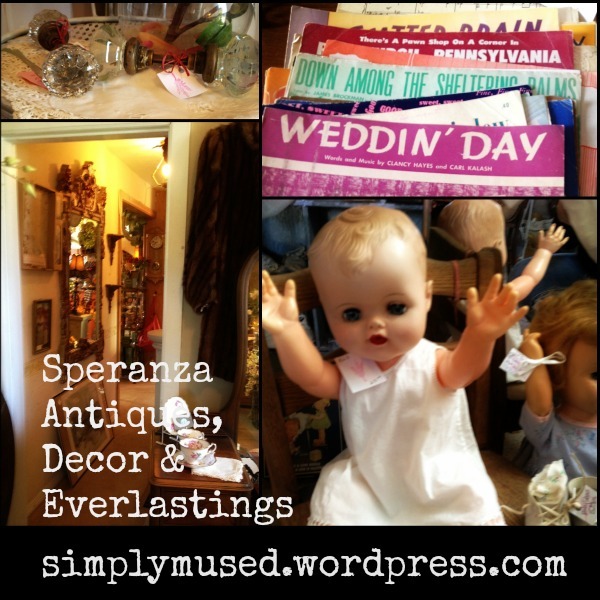 I walked through many of the antique shops and one of my favorite shops was a mix of the old and the new. They had new things that looked like old things. This particular shop also had a big section just devoted to Native American finds. I saw a rattle that was carved out of wood for $200. 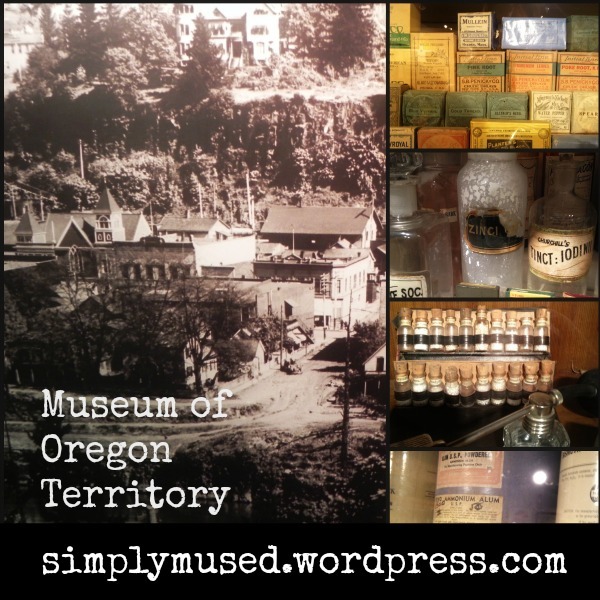 I had no way of knowing if it was actually authentic, but I got to thinking that antique stores in a way are little museums for people who want to take things from the past home with them. I found a bunch of cool things, but bought a Ladies’ Home Journal from 1910 that I planned on using in my mixed media journaling artwork. For my AW, I asked about local parks or walking trails and was directed to their park, but didn’t make it to the location that I wanted to. I later read that their park has the world’s talest standing Native American totem pole that Chief Lelooska carved for the World’s Fair in 1962. He did not finish in time, but these were made from wood and still are beautiful today. The park that I did make it to was very small, but I went up on the hill for a great view of the river. Like many of the towns that I have visited, timber is the most visible industry. Factories and piles of tree trunks lined the river as well as a rail line. Driving under the freeway underpass also had clues of the past with a mural of Native Americans, white settlers, and a ship, but I did not find the written history of Native Americans living there before the settlers. Since I can remember, I have had a strong connection with Mt. St. Helens (the little active volcano in my back yard). I was only 9 years old when she erupted. At the time we lived pretty close to the south side of the mountain so we felt the earthquakes pretty strongly leading up to the eruption and experienced the blackout from the ash from the eruption itself. Maybe the year before that I met Chief Lelooska (a school field trip that I would never forget). He told many stories, but the one that I remembered was of Mt. St. Helens. As the spring came on this year, I felt a strong draw to the mountain. I know that the observatory is still closed, so for my last AD in March, I took my own approach from the area that I know I love on the south side of the mountain. I planned on going up to Speelyai Bay. I drove through Woodland set my odometer to zero. I needed to stay on the highway for 14 miles to find the bay. 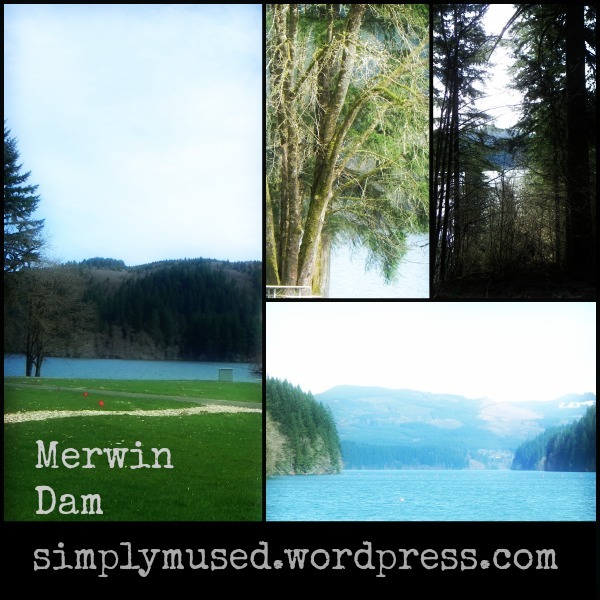 As I drove past Merwin Dam, the roads got narrower and windy, but I could see the gorgeous water below. At 15 miles, I knew that I passed the bay, but honestly had no clue which road to follow to get there. 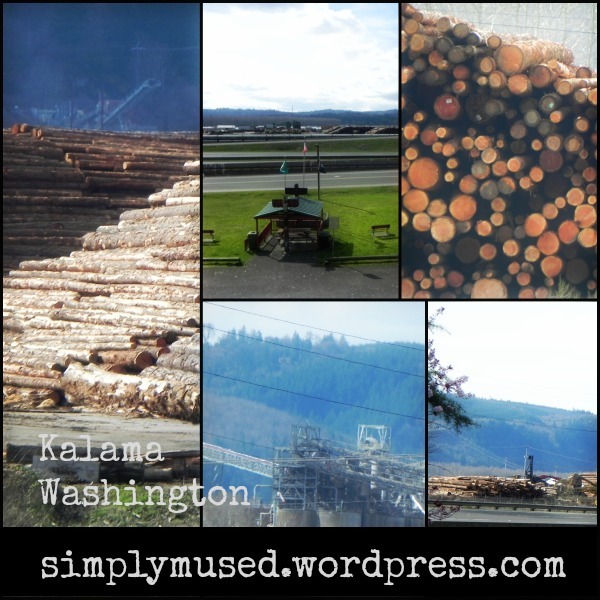 I passed three to four huge log trucks in route. I was pretty stressed at the point when a deer made its way into the road in front of my car. I slowed hoping that the animal didn’t double back and hit my car (deer are funny that way sometimes.. they run up the bank and come back into the road causing an accident). Making it safely back to Merwin Dam, I decided to stop at the Lelooska Lodge to check for upcoming events. I then went down to the lake with my journal and camera. After my walk, I spent the rest of my time there pondering the presence of the mountain. The park was almost deserted, but it was a gorgeous sunny day. The wind had a low howl that was a little spooky, and being alone up there felt exciting and also a little unnerving. It was a spiritual experience as well though. I closed my eyes and felt the stillness of what it is like to be close to the wilderness. I feel like this is an experience that I long for. I imagined what it would have been like to live off of the land. The park’s education board said that the early people who lived in the valley below hunted deer and ate berries. On my way back through Woodland, I made one more stop at an antique store that was in an old house which gave it a charming feel. Again this store had some other trinkets that they were selling along with the older antique items. My favorite area was with the baby dolls with what my daughters would call creepy because of their eyes. My longing for connection with the earth only gets stronger as I explore the different sites around my community–one that I find difficult to express in words. I want to learn more about the native people who lived in this area before the European settlers came. I also want to feel the spirit of the land.. there is a connection there that I need to discover for myself. My ADs are bringing me closer to this realization and inner desire. It is something that I accept about myself, but I also discount to a certain extent. How many of us feel these intuitive pulls, but aren’t sure where they lead us? This entry was posted in Artist's Date, Artist's Walk and tagged creativity, history, logging, mills, museums, nature, preservation, the artist's date, the artist's walk, The Artist's Way, trees. Bookmark the permalink. I suspect many of us feel them, many of discount them or don’t have the time to follow them. One of the other. Your walks are wonderful and the pictures a great outcome. I find it a little sad to reflect about discounting them in particular. I think that we really can’t believe that they are important or how could we shuck them off? This question is mostly for me. Thank you for your compliment! I really enjoyed reading about you exploring the world around you. I love learning about my own little world. And reading this has given me a push to explore a little more, and use my camera to tell a story. Think I’ll be a copycat today!!!! Thank-you!!!!! Awesome! 😀 Oh, and thank you!